Wireless IoT is a big dark forest with a lot of trees. This time I have chosen symbolic the LTE-tree. All leaves of the tree you can touch at Embedded World booth 5-139. 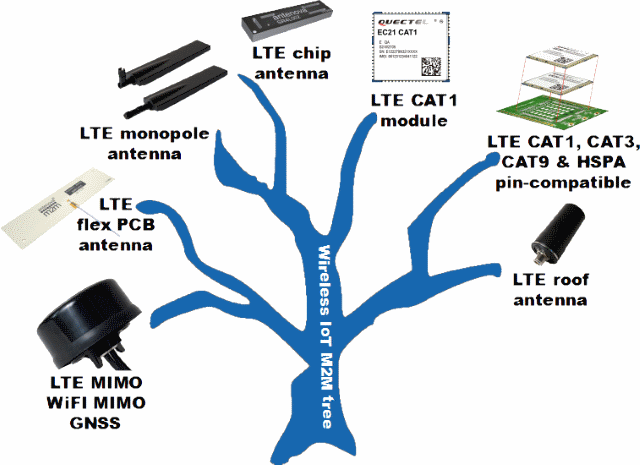 Additional to the tree for LTE there is one for GPS / Glonass, Wi-Fi, Bluetooth Low Energy, LoRa, ZigBee and a lot more. You can’t see the forest for the trees? You don’t know what to select? Then just take some minutes and stop at booth 5-139 . Bring you enclosure or your drawing with you. I will be glad to give advice free of charge. You can’t make? The Embedded World in Nuremberg is to far? Do not hesitate to drop an email to harald.naumann (at) gsm-modem.de . Thank you in advance.